(SPOT.ph) If the 6/58 Ultra Lotto was the only thing on your mind last week, we can't blame you—it's hard to resist a one billion-peso jackpot. Unfortunately, the pot's been taken by two lucky winners from Eastern Samar and Albay (unless you are one of these lucky winners, in which case: Congratulations!). 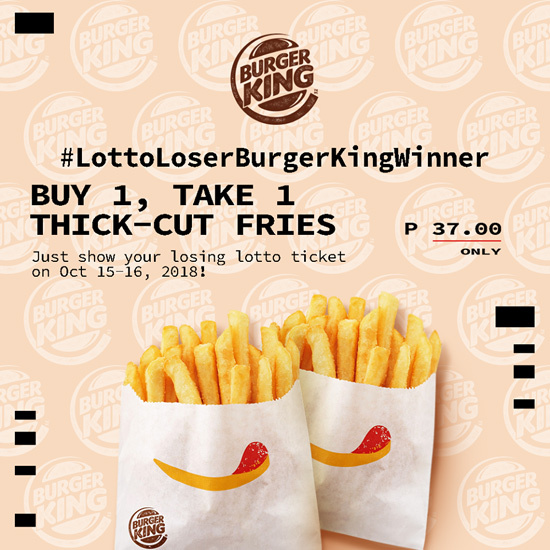 But don't throw away your ticket just yet, because Burger King has a deal for you: Present your losing ticket on October 15 and 16 and get yourself free fries! All you have to do is present your lottery ticket from the October 12 and October 14 draws and get two regular-sized Thick Cut Fries for only P37. 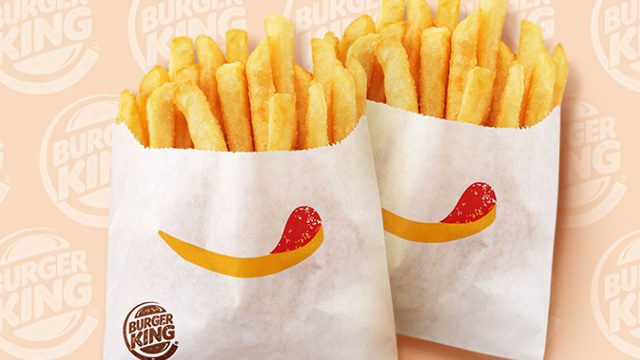 Yes, you read that right: buy one order of fries and get a second order for free! They'll only accept a maximum of two losing tickets per transaction, but we think that's more than enough fries to soothe the pain of losing. 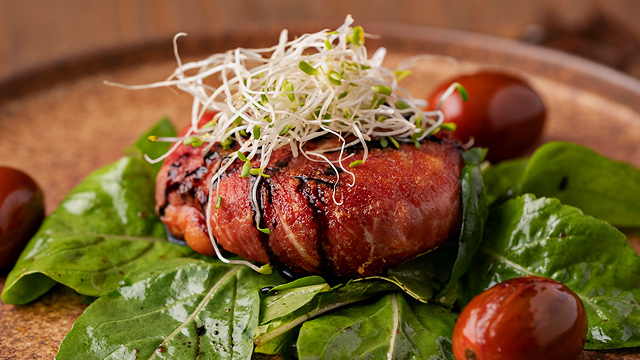 See a list of Burger King branches.